Dance for Heart Health coming to Riverside! Come and dance for Heart Health on Wednesday, February 12th at Bobby Bonds Park Gym! Molina Healthcare and Riverside Community Health Foundation are partnering to bring this fun, family-friendly event that allows you to earn raffle tickets by doing heart healthy activities. At the end of the event, a Wii Fit will be raffled off! 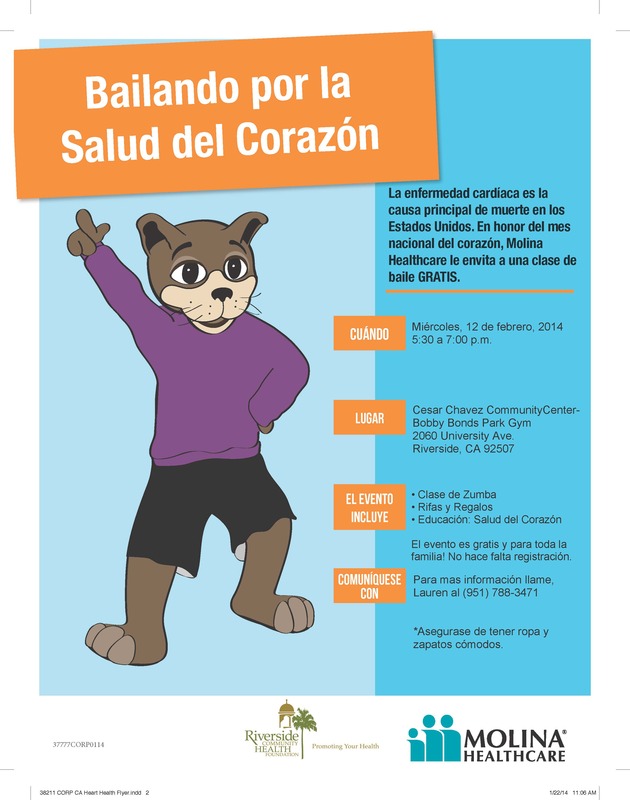 The event will also include a Zumba class lead by Riverside Community Health Foundation’s instructors. The event begins at 5:30 p.m. and ends at 7:00 pm. Everyone is welcome. No registration is required.